Ebola: What do you need to know? The largest outbreak of Ebola in history is occurring in Western Africa, with more than 1,700 infected and 1,000 deaths from the virus so far. The World Health Organization declared it a public health emergency, and Doctors Without Borders is calling it a disaster. So how exactly did this outbreak happen? Should we in the U.S. be concerned? Ebola is the virus that causes Ebola Hemorrhagic Fever. The virus was discovered in 1976 when there were two simultaneous outbreaks in the Sudan and the Democratic Republic of Congo (called Zaire at the time). Some of the patients came from a village situated near the Ebola River, hence the name Ebola. Outbreaks usually occur when a human comes into contact with body fluids from an infected animal such as a chimpanzee or gorilla, particularly when the animals are used as a source of meat. The African fruit bat is also thought to be a reservoir that can pass the virus through contact with its droppings. Once a human has contracted the Ebola virus there is an incubation period where the patient is not yet symptomatic. This period can last from two to 21 days. It makes this infection particularly troubling, since someone could leave one of the countries with Ebola and not become ill until they have reached their destination weeks later. This is why people exposed to Ebola are quarantined for 21 days with daily fever checks to make sure they do not have an active infection. Once a patient becomes symptomatic, he will display signs typical for any viral infection such as fever, nausea, joint pain and headaches. Other symptoms include conjunctival hemorrhages (burst blood vessels in the eyes), rash and sore throat, although these are less typical. In most cases, patients can become deathly ill within days, with nausea and vomiting, bloody diarrhea as well as bleeding from other sites. Left untreated, this eventually leads to shock and death. Once the patient develops a fever, he is considered infectious and has the potential to spread the virus to others through bodily fluids. Health care workers are particularly susceptible to the virus if strict contact isolation precautions are not taken. There is no vaccine for Ebola and with the exception of some experimental drugs, there is no approved therapy other than aggressive supportive care. Ebola is extremely lethal with a fatality rate of up to 90 percent. The current outbreak has a fatality rate of around 60 percent. What protections are in place in the U.S.? Customs and Border Protection agents are trained to passively screen all patients coming into the U.S. from foreign countries for signs of illness. In addition, 20 airports around the country are equipped with quarantine officers from the Centers for Disease Control and Prevention (CDC). Should the officers encounter someone with symptoms or appearing ill, they will be referred to the quarantine officer for evaluation. In addition, CDC has recently sent some 50 experts to Western Africa to combat the virus. CDC performs testing on suspected cases and offers expert advice to clinicians around the globe. They work in direct contact with local and state health departments and issue case definitions and guidance on handling cases of Ebola. Although some cases have traveled to the US, the CDC is taking action to prevent the spread. If you or someone you have come in contact with traveled to any African country in the past month, you should see a physician right away to make sure you have not contracted the virus. Our new vital signs units will provide more accurate blood pressure, heart rate, and percentage of oxygen in each patient we care for. Thank you to all of those who donated to us in this year's fund drive. The squad needs your help to help you. Your donations help us maintain our services to the borough of Oceanport. We hope everyone who participated in this past week's boat race and the Twin Lights Ride had a great time. We were glad to help out with these events. As everyone knows, flu season is coming. So we encourage everyone to go out and get your annual flu shot. As everyone knows the flu is always adapting, so getting the flu shot each year is important so that your body can adapt as well. There will be a flu shot clinic at our building on October 7th from 9AM - 11:30AM. The cost is $25, but Medicare and other insurances may cover the cost. In other news, we received new vital signs monitoring devices from Nonin Medical so that we can obtain more accurate vital signs of all of our patients. 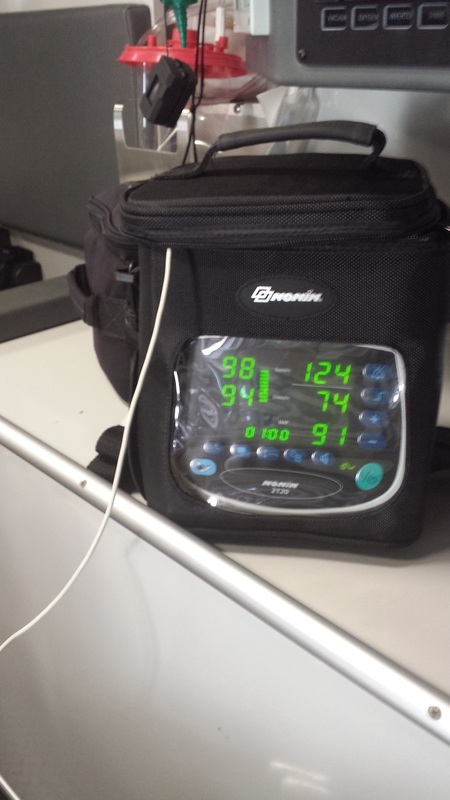 Often it is difficult to obtain manual vital signs while in a moving ambulance, so these devices will be able to get an accurate reading. This often frees up more time for members to work on lifesaving procedures and still give the hospital staff a detailed report. We hope everyone has a safe and healthy October! identification card (ID), as well as the MVC database, reflect that decision. to communicate due to a diabetic emergency. Security, Investigations and Internal Audit Unit at (609) 984-5279. FREEHOLD, NJ - The heroin overdose antidote naloxone has been deployed 50 times by law enforcement officers in Monmouth County since it was first made available on June 5, but not everyone lives to benefit from this live-saving drug as the death toll for those who received the drug but died has risen to five, announced Acting Monmouth County Prosecutor Christopher J. Gramiccioni. “We are saving lives, but this is not a cure-all for the horrors of opiates and heroin addiction. Naloxone can gain an addict a second chance, but without treatment this addiction is nothing more than playing Russian roulette with your life and the lives of the people around you,” warned Gramiccioni. The first deployment of naloxone occurred on June 5, 2014, in Ocean Township, less than four hours after Monmouth County First Assistant Prosecutor Marc C. LeMieux was joined by members of the Monmouth County Police Chief’s Association to announce the deployment of the overdose antidote. The fiftieth deployment took place Thursday evening around 7:40 p.m. when police were able to revive a 29-year-old man who appeared to be overdosing on heroin. “This man is lucky to be alive and hopefully he will get the treatment he needs to overcome a potentially deadly addiction,” said Monmouth County First Assistant Prosecutor Marc C. LeMieux. Since deploying the overdose antidote on June 5, naloxone has been deployed on 50 occasions by law enforcement officers across Monmouth County reversing the effects of the heroin overdose for 45 people ranging in age from 15 to 58. Since naloxone was first deployed, police officers have had a hand in saving the lives of 11 females and 34 males using the overdose antidote. Five men could not have the effects of their overdoses reversed and died. They range in age from 20-50 years old, and are from Bradley Beach, Howell, Oceanport, Middletown and Wall Township. 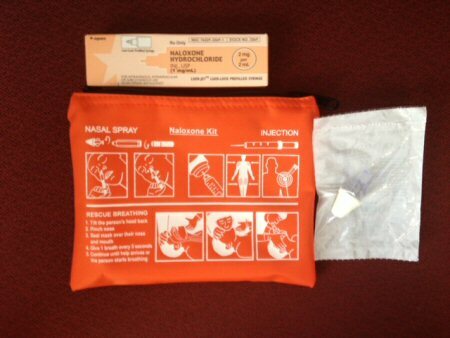 The Middletown Township is leading the way with 8 deployments resulting in 7 overdose reversals, followed closely by Belmar and Keansburg each with six reversals. Two naloxone deployments were made on August 3 for juveniles overdosing on suspected heroin – a 15-year-old Middletown girl and a 16-year Colts Neck girl. Both girls had their overdoses reversed. The oldest person to have a heroin overdose reversed was a 58-year-old Eatontown man who was first administered the overdose antidote on July 18 and received a second utilization on September 3. He is the only known two-time recipient of naloxone. As of September 4, 2014 at 10 AM, the Oceanport Volunteer First Aid Squad and Oceanport Police Department will be dispatched by the Monmouth County Dispatch Center. We hope this change over will be able to reduce our response times so that we can provide faster care to our fellow Oceanport residents who are in need. We are up to 400 emergency calls this year including medical emergencies, fire calls, and mutual aid calls. Thank you to all of the members for your continued help and dedication to the town. The annual circus was a success as well. We had a great turnout on all four nights. We want to thank all those who attended. Your support of the first aid squad is much appreciated. The Oceanport Boro will be switching its dispatch services this month to Monmouth County dispatch so that all 3 emergency services (Police, Fire, and EMS) will be dispatched from the same system. This will be able to reduce response times as most 911 calls in the area go to the Monmouth County dispatch center. We hope everyone enjoys the remainder of their summer and we hope to see you all at the Summer's End Festival. Stay safe! Thanks to all of the hard work and dedication of the building committee, as well as several other members who pitched in, the squad building is back in order. Ever since Hurricane Sandy hit Oceanport back in 2012, the building had been undergoing recovery. Finally, everything is back in order and we can continue to focus on improving our services to the residents and visitors of Oceanport. Members put in many hours putting up sheetrock, putting down floor tiles, and much more. We appreciate all of those who also gave financial contributions to the squad for aid in repairs.